GOING WITH THE GREEN. Jessie Bates, manager of Evolution Hem at, 2600 London Road dispenses the wares. Hemp, once a mighty pillar of Wisconsin’s economy, is making its comeback as a staple crop while increasingly being recognized by the public as a natural medicinal substance. The 2018 federal Farm Bill classified hemp as an agricultural plant, returning it to agricultural status and removing it from the list of illegal Schedule One substances where it had remained since 1970. In response to the new legislation, Eau Claire has seen two CBD shops open within the past month: Evolution Hemp and Your CBD Store (with many other stores in the area carrying hemp and CBD products). Michael, a hemp grower with M&P Cultivation in Eau Claire who asked that his last name not be used, aims to provide the best organically grown hemp possible to people in need. Last year M&P Cultivation grew two strains of hemp, both high in CBD. CBD is a cannabinoid, meaning it’s one of the active compounds within all cannabis plants. Out of the 113 known cannabinoids, the two most prominent are THC (tetrahydrocannabinol, which is psychoactive) and CBD (cannabidiol, which is non-psychoactive). Throughout centuries, hemp has been cultivated to have a higher CBD content and a lower THC content, marking its important distinction from its sister plant, marijuana. The growers at M&P Cultivation are familiar with the delicate boundaries of growing hemp, and frequently test their product to ensure the correct cannabinoid levels are being maintained. To be considered iIndustrial hemp, test results from the flower must contain less than 0.3 percent THC. 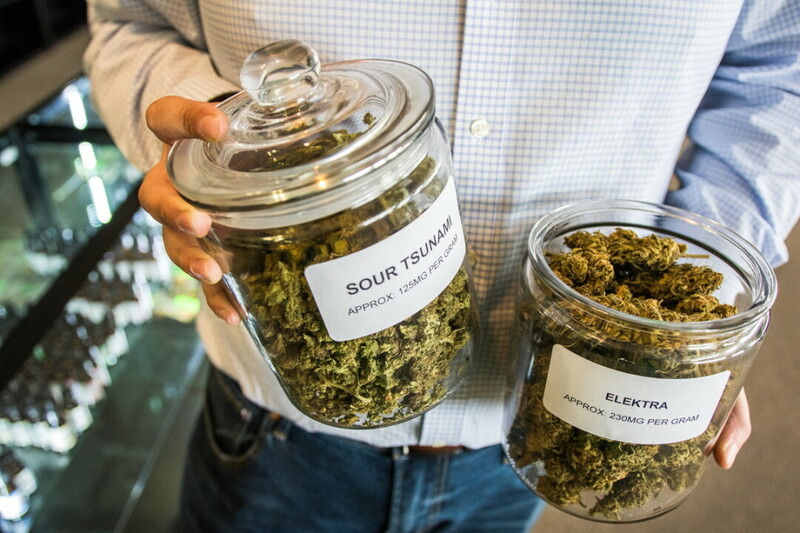 For comparison, most medical or recreational marijuana contains THC levels of 5 to 30 percent. The CBD compound can be safely derived from the hemp plant to be used in an array of products with no psychoactive effects. Many consumers and growers of hemp have marveled at its medicinal effects, claiming it helps ailments ranging from indigestion to anxiety and that it even relieves chronic pain. Keep in mind that the U.S. Food and Drug Administration has not approved CBD as a medicinal or dietary supplement, and only in one case has CBD been approved as a medical treatment. (Patients with severe epilepsy were prescribed the first CBD derived drug, Epidiolex, in 2018). Evolution Hemp and Your CBD Store aim to offer products that provide health and wellness through natural avenues. At Evolution Hemp, 2600 London Road, store manager Jessie Bates welcomes the opportunity to clear up misconceptions about hemp and hemp products. Even if using hemp is not on your to-do list, the staff at Evolution Hemp encourage people to come in and ask questions in an effort to help spread accurate information regarding the plant. 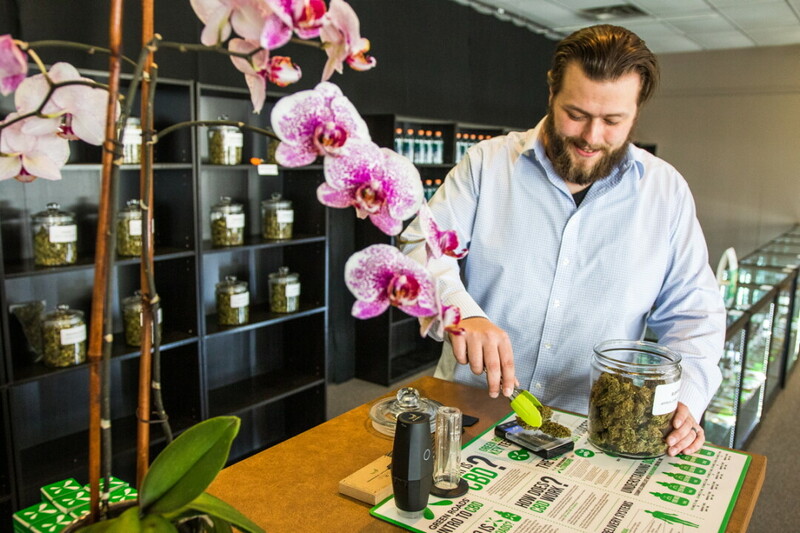 Bates believes that CBD can help people from many demographics. “What everyone is coming here for is the chance to feel good,” he said. Since opening on March 1, the store already has regular customers finding relief for a variety of ailments. Melissa Bellovary, owner of Your CBD Store, 1418 S. Hastings Way, is excited by what she believes is a natural and reliable product. “The hemp we use is from a USDA certified organic, independently lab-tested farm,” she said. “It is made in Florida and it is tested another three times before shipping the finished product.” Bellovary wants to share pain-relief that has worked for her with others. 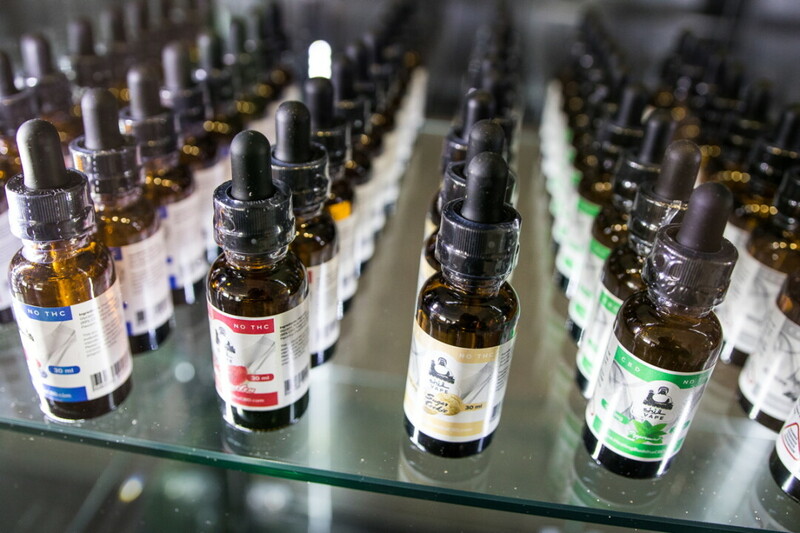 If you visit Your CBD Store, you will find products including but not limited to tinctures, tea, bath bombs, pet products, and various beauty products. Your CBD Store offers weekly drawings and a 10 percent discount for veterans.